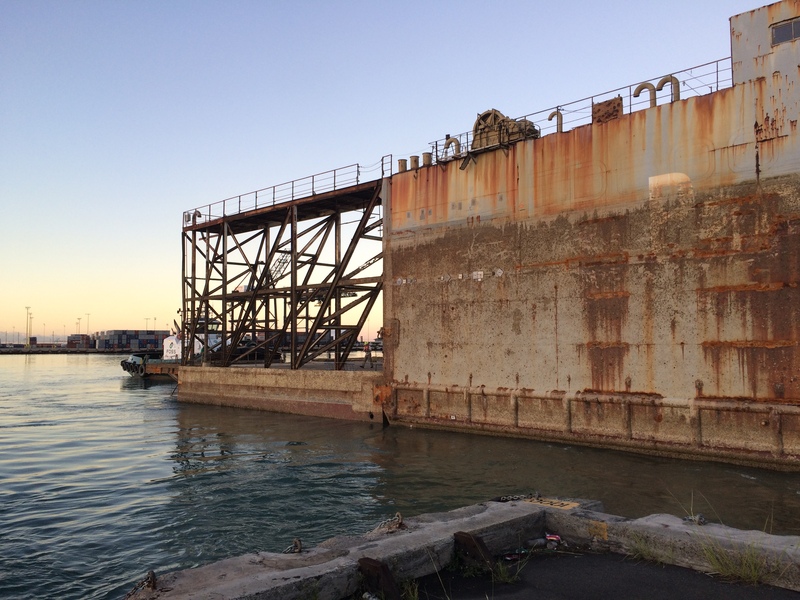 HONOLULU – The Hawaii Department of Transportation (HDOT) is pleased to report the removal of a damaged dry dock vessel on Saturday, Feb. 20, 2016 which resulted in the clearing of Piers 40 and 41 in Honolulu Harbor where it was previously berthed. 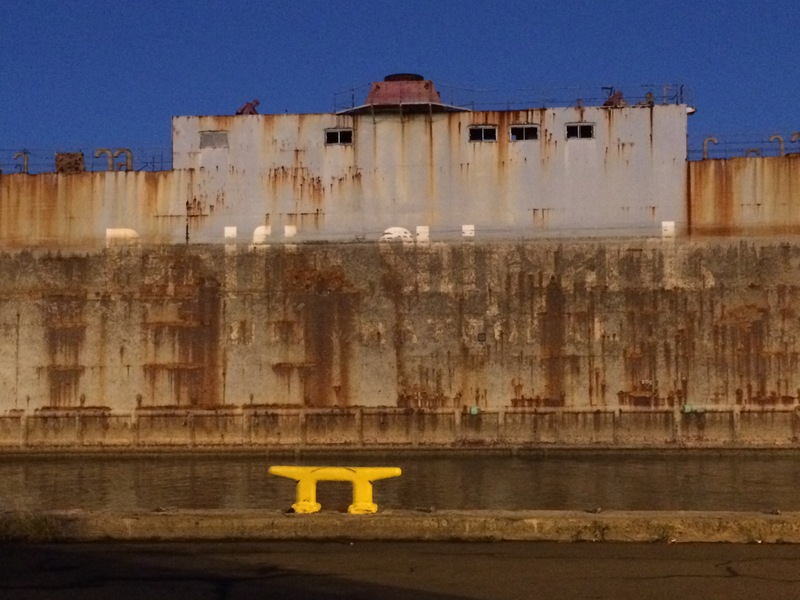 The dry dock named Kapilipono took on water and sunk in its berth last September. 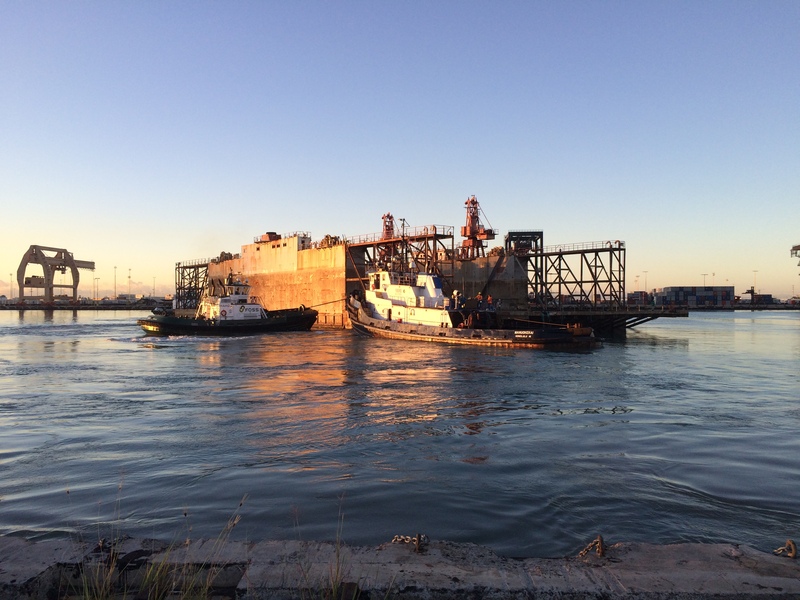 Recovery plans were activated, the water was removed and the vessel was refloated in January. On Saturday, ocean and wind conditions presented a favorable window of opportunity for towing the Kapilipono 12 miles off Oahu’s south shore where it was sunk at an approved Environmental Protection Agency disposal site located at coordinates 21° 6’0.00″N 157°58’45.00″W. All safety and environmental precautions were taken prior to the operation. The vessel was fully cleaned of any and all petroleum products. All cargo holds, tanks, voids and bilges were emptied as verified by the US Coast Guard. 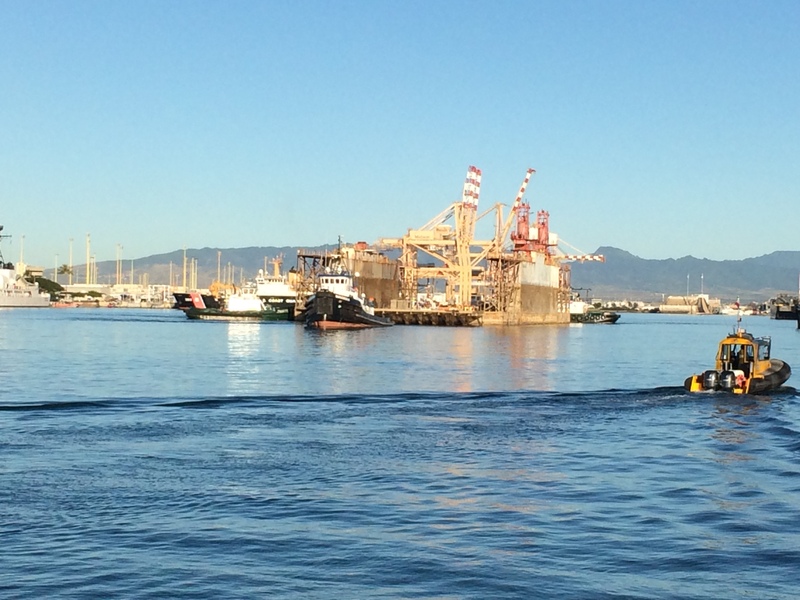 The Kapilipono belonged to Pacific Shipyards International LLC which paid for the disposal costs. 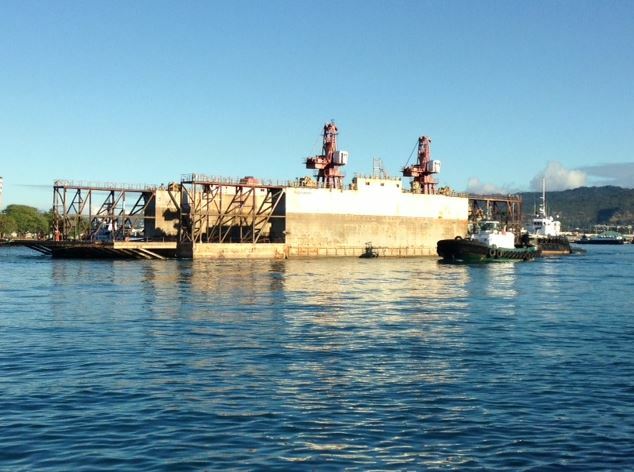 The floating dock was 375’ x 105’ and capable of lifting a 400-foot container barge. It was originally constructed in 1974. The vessel sunk at its berth on Sept. 9, 2015 due to an electrical malfunction. The HDOT Harbors Division is extremely grateful to Captain of the Port, Shannon Gilreath and the US Coast Guard for its coordination and planning that ensured the safety of the harbor community and system. 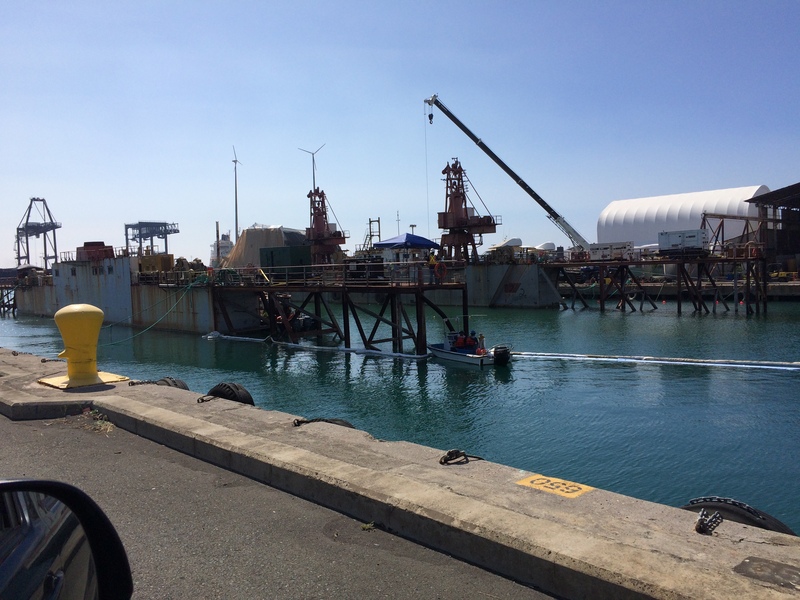 Special recognition is also extended to the Hawaii Harbor Users Group for its support of the Harbors Division and its efforts to improve efficiency. 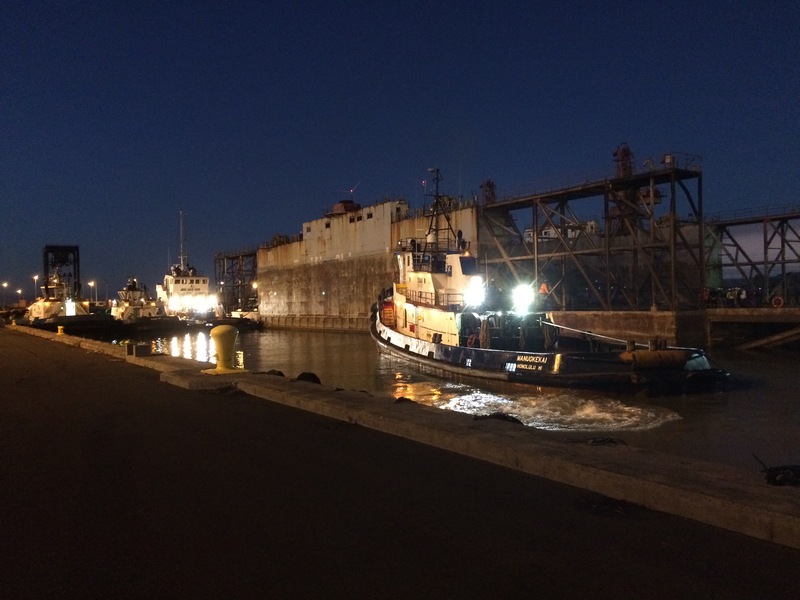 HDOT thanks Resolve Salvage and Fire for refloating the vessel and Foss Maritime for towing it to the final destination. Pictures of the mission can be found by clicking the following hyperlinks. Please courtesy either HDOT or Hawaii Department of Transportation.